We live in interesting times. Here are some entertaining stories from 2014. Not all of them involved big money. In fact, a lawsuit was threatened over $4, while a billionaire declared money to be a great pain. It was the year that a Chinese man nicknamed Crazy Jack Ma became one of the richest people in the world, an amazing innovation in plane design was introduced, a car service becomes indispensable in many cities but is banned in several countries and a few funny food fights made the news. We even found out about a secret Internet. Although he couldn’t even get a job with KFC in his hometown of Hangzhou, China and instead made $15 a month teaching English at a local college, Jack Ma is now one of the world’s richest men. The founder of Alibaba, a business-to-business online platform, he saw an opportunity with the rise of the Internet in China. When Alibaba went public in September, raising $21.8 billion, it was the largest global IPO in history. Ma’s net worth is estimated at $23.2 billion, although he’s not basking in his wealth, calling it a great pain. This was the year Uber, the car service, became available in more than 50 countries and 250 world cities. The company recently raised $1.2 billion with investors valuing the company at $40 billion, one of the most valuable private companies on the planet. Five years ago it was just an app. Its success has come with controversy, however. It’s been banned in Germany, France and some cities in India, while taxi drivers have protested its presence in London. Thailand, Spain and the Netherlands have ruled it illegal and protests have been filed in other cities. Some users have deleted the app after expressing concerns over privacy. Speaking of transportation, we won’t need a window seat for a view when a new kind of aircraft is introduced — one without windows. 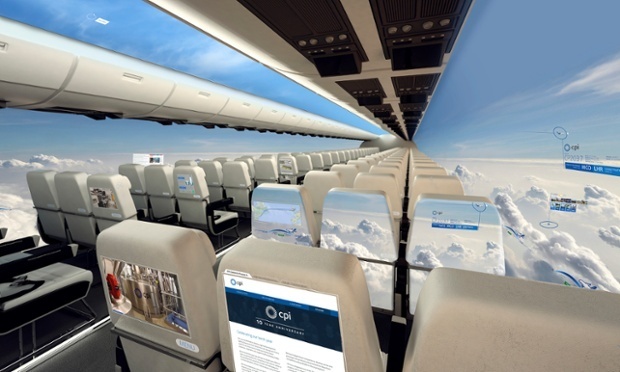 The Centre for Process Innovation, a U.K.-based cutting edge technology association, has plans to create an aircraft where the windows will be replaced by full-length screens with full views of the exterior. The new design will significantly reduce the weight of airplanes, which will reduce operating costs. Maybe they’ll be able to afford to bring blankets back to coach. And speaking of planes, this recent story of taking customer service standards too far really amused me. Cho Hyun-ah was incensed when a senior flight attendant for Korean Air Lines served her macadamia nuts in a bag rather than on a plate. The daughter of the chairman of the airline and also head of in-flight services, Cho ordered the plane to return to the gate and threw the senior flight attendant off. She was forced to resign her position and I don’t think Daddy was any too pleased with her when the story went viral. He apologized for her foolish behavior and asked for the public’s forgiveness. Then there was the story of the associate professor of the Harvard Business School. Seems Ben Edelman was enjoying take-out from a nearby Chinese restaurant when he discovered something horrifying. Something he had to threaten legal action over. Was it a rodent part in his food that caused such anguish? He wanted $12 back. And threatened to hire an attorney. The kicker? He teaches in the Negotiation, Organizations & Markets unit at Harvard. Seems to me his negotiating skills are a bit lacking. But he did admit the food was delicious. I was certainly in the dark myself about the “Darknet,” the dark markets on the Internet. Seems you can buy drugs, weapons and even hire a hit man, all from the comfort of your home. European law enforcement officials, the FBI and Department of Homeland Security announced a crackdown in November, shutting down more than 410 hidden services. Here’s to a wonderful 2015 for you and your loved ones. And may we all look forward to many more entertaining stories in the coming year. And some of these things actually keep me in business. This entry was posted in Business Laughs, History, Negotiation and tagged Alibaba, Ben Edelman, Cho Hyun-ah, Darknet, Jack Ma, Korean Air Lines, Uber. Bookmark the permalink.